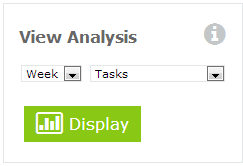 The Analysis pages allow managers to views graphs representing the hours worked by their team. These pages only show data from timesheets that have been approved. 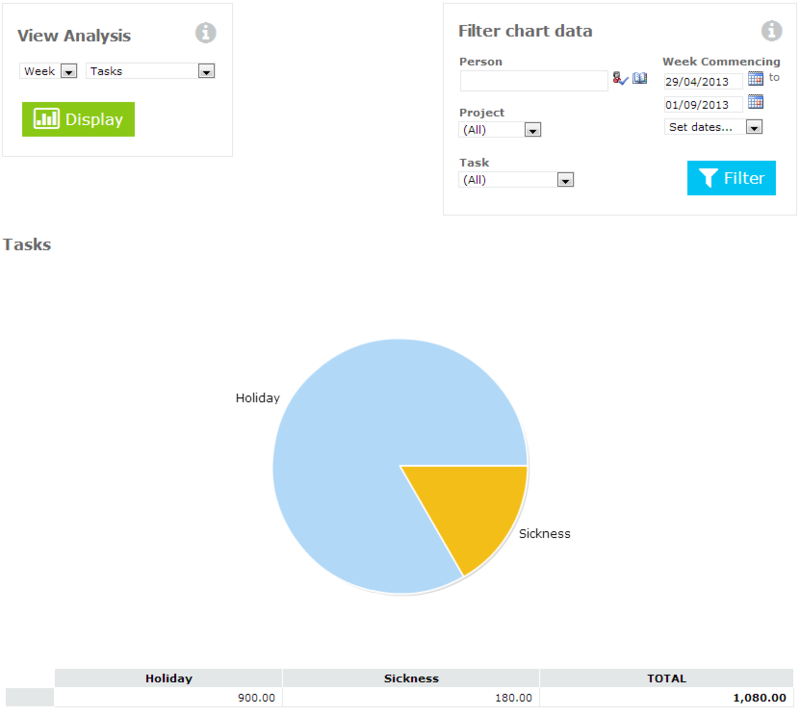 Choose the combination you want (Week analysis can be filtered by week, and Month by month), and click View.